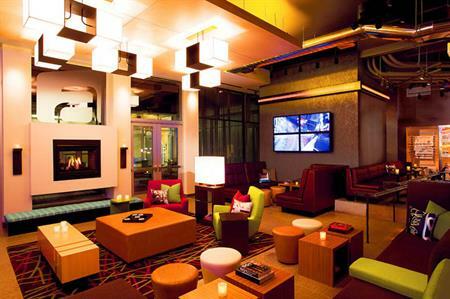 C&IT's Venue of the Week is Aloft Denver Downtown hotel, which opens on Tuesday (22 December) in the Colorado city. Just 25 miles from the international airport and a block away from the Colorado Convention Centre, Starwood's Aloft Denver Downtown arrives in 'Mile-High City' this week. The 140-room property offers all the features expected of the Aloft brand – clean lines, vivid colours and simple, inexpensive dining and socialising options. The two eating choices are the self-service, 24-hour re:fuel by Aloft, and w xyz bar, which offers drinks and snacks. Tactic, the chain's meeting concept is a high-tech, high-speed, wi-fi-enabled space comprising three areas for events, the largest of which takes up 93sqm and can be reconfigured from the default boardroom style if required. Completing the offer is the re:charge gym, splash indoor pool, business centre and complimentary wi-fi throughout.